Questions about the open top onion tank? We can help! Call the GEI Works team at 1-772-646-0597 or fill out our quote request form to discuss your requirements. These flexible tanks are operational in minutes and are used for temporary liquid storage where response time is critical. 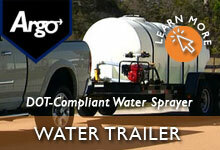 Use Onion Tanks for water, to store recovered hazardous materials, oil hazardous materials (HAZMAT), and other liquids. *Not all fabrics are suitable for all uses. Please let us know how you plan to use your Onion Tank so we can make sure it's constructed with the right fabric and coating for your specific needs. For custom sizing or a specific storage application, please call our team at 1-772-646-0597 or fill out our quote request form to discuss your requirements.